Virtual reality or VR is big business. 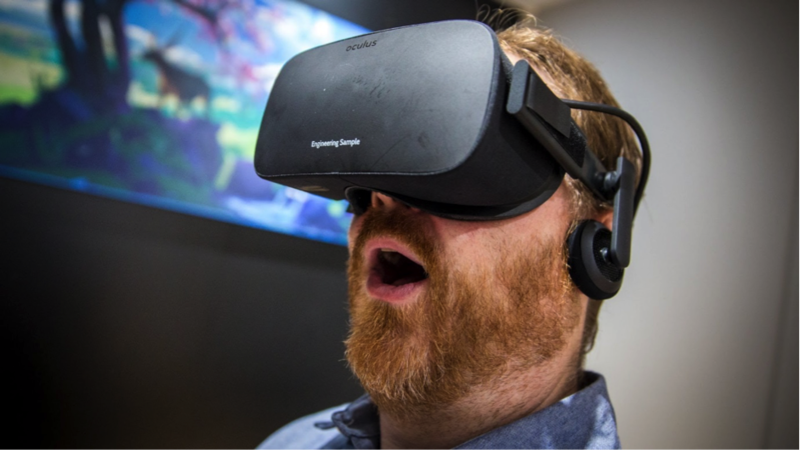 Recently Facebook acquired Oculus Rift, a VR developer to expand the social media experience. You can know feature 3D pictures which move with your phone and give a panoramic view really placing you in the centre of the action. Meaning your friends can literally walk through your images and experience what you do. It is no surprise then that the world of online casino news has jumped on the VR headset! Gaming online is already accustom to VR systems with more and more providers like Sony offering virtual reality headsets and customised games. It is predicted that by 2018 there will be 171 million active users of VR using the technology from anything from online games, training programs, experiences and of course virtual poker! Just think about it, you could attend a world poker tournament from your armchair, tour the casino, talk with friends, and meet new faces without leaving the house. The vision is that players will be equipped with a headset and set of virtual chips and you can play with real money in real time. Realistically we are not far off this now. We have systems which can link your bank account with you betting accounts and estimate odds and fluctuations. Mobile gamblers are on average between the ages of 35-40 but with the intervention of virtual reality this is set to decrease and include the younger audience. Gambling will be seen more as a virtual game like those played on Xbox or PlayStation, rather than static or flat 2D visuals. Sony are soon to launch a headset which incorporates a smartphone into a 3D VR application. The technology is there is now a matter for the online casinos to take part.